I just love this photo due to the expression on my cousin Arjun's face. Is it one of sadness, is it amazement or is it one of happiness, we may never know for sure. Yet he looks so innocent. That, I think, is the real beauty of a child! 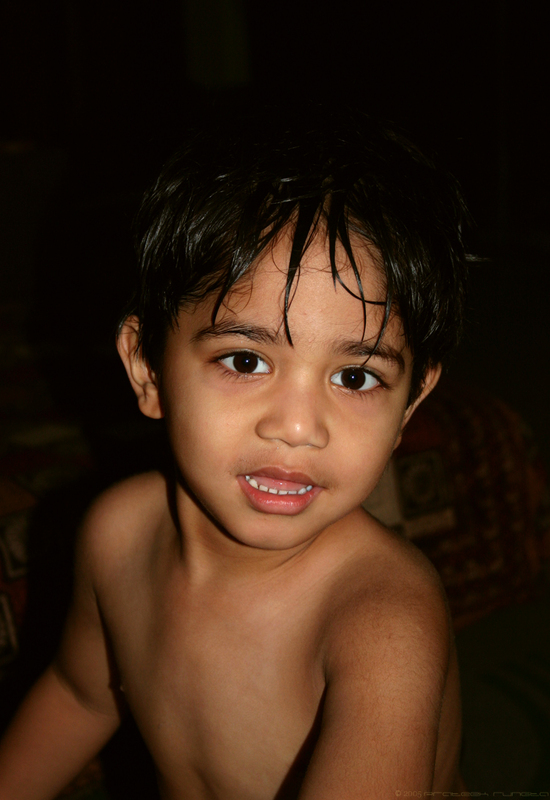 u said it..."innocence is the real beauty of a child"..ur bro looks real cute..like me hehehe!! !